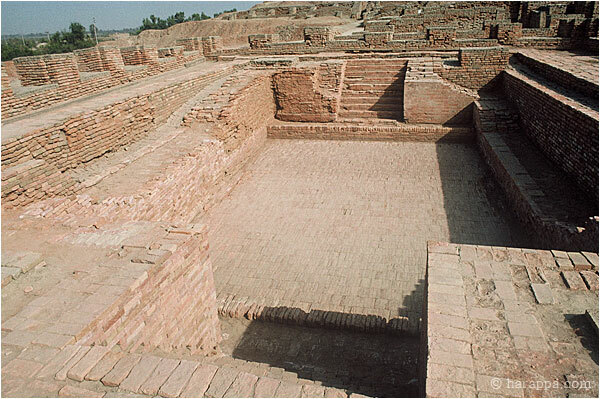 The Great Bath was entered using two wide staircases, one from the north and one from the south. The floor of the tank is watertight due to finely fitted bricks laid on edge with gypsum plaster. Brick colonnades were discovered on the eastern, northern and southern edges, but the western edge (at the left) was missing. Sir John Marshall assumed that they would have been present and subsequent reconstructions have replaced these missing columns.